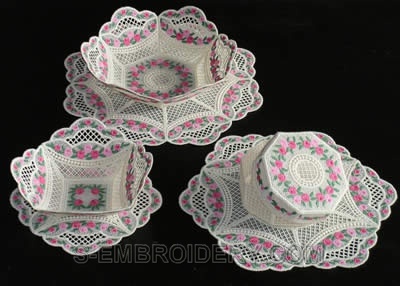 This is one of our most popular freestanding lace bowl embroidery sets. 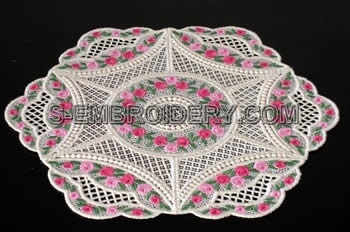 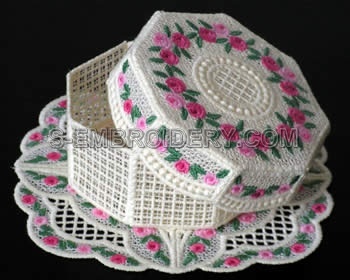 The mini rose set of machine embroidery designs consists of 3-5 freestanding lace bowls, 3 freestanding lace doilies and 1 freestanding lace box. 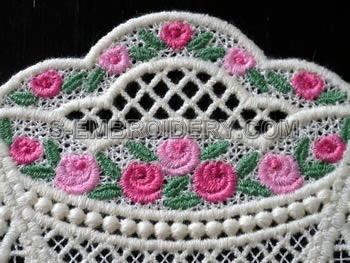 a top side panel design. 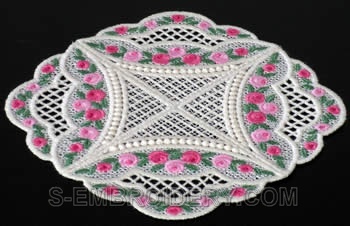 The largest designs from the set will fit in 5x7 (130x180) hoops. 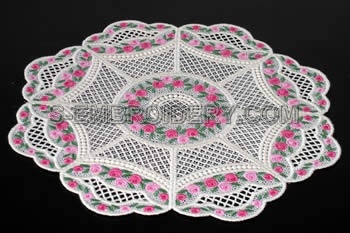 The number of stitches varies from 9,500 to 25,500 per file. 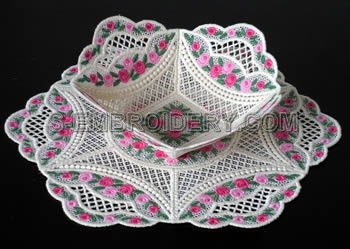 You also receive 2 PDF files - one with design information and colo charts for the designs and the other - with step-by-step instructions for creating free standing lace bowls and doilies.